This is a common scene played out all around America: You pull off the highway and find yourself with a choice of gas stations. While you're almost guaranteed to see at least one nationally recognized brand waiting by the off-ramp, there might also be Brand X, selling gas for maybe 10 or 20 cents per gallon less. Just like that, you’re on the horns of a dilemma. Saving money is funâ€•but you're left to wonder whether opting for the cheaper gas will harm your engine. Does cheaper gas equate to substandard fuel? 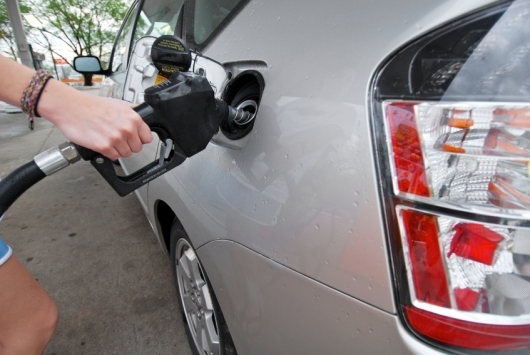 Here, we debunk the myths surrounding cheaper fuel. If itâ€™s for sale, itâ€™s EPA-approved. Fans of cheap gas will be relieved to learn that you can’t just hang your shingle out and sell the stuff. The Environmental Protection Agency (EPA) has a set of strict regulations that must be satisfied before a gasoline vendor can open for business. For example, the gas must contain a certain amount of “detergentâ€ additives that mitigate the formation of deposits in the engine and fuel-supply systems. There’s a nice synergy here: you want to keep your engine burning clean to promote longevity, and the EPA wants you to keep it clean to protect the environment. So remember, if the gas in question is sold in the United States, that means it already passed muster with the EPA, no matter how sketchy the filling station may appear. There's controversy surrounding 'special' additives. While the EPA specifies minimum additive requirements, it does not limit what gasoline sellers can throw in on top of what’s mandatory. This has generated a boom in big-brand gasoline advertising as of late, with power players competing to convince audiences that their proprietary cocktails yield superior results. Every major player wants you to believe their gas is better for your car than the rest. Seeking an opinion from outside the oil industry, we consulted Steve Mazor, Chief Automotive Engineer at the Automobile Club of Southern California. As it turns out, his team had conducted a scientific test of different gasoline formulations to examine this very issue. We asked Mazor about the results. “To this day,â€ he replied, “I don’t know which was which.â€ And he found “no measurable differenceâ€ between the various types of gasoline. So what does Mazor recommend you do when the gas tank is running low? When we called Honda, however, the company declined to comment. We got the same response when we went outside the Top Tier consortium and called Hyundai. Indeed, none of the various car-company representatives we contacted was willing to endorse proprietary gasoline additives on the record. But why does generic gas sell for less? The companies that produce it don’t have national brands that need massive marketing campaigns. They don’t have a legion of scientists and engineers trying to figure out a better formula. Simply put, there’s less overhead. They just comply with EPA regulations and ship the gas out to the pump. Nowhere in our research could we find any evidence that generic gasoline producers cut corners and deliver a subpar product. Think of it like store-brand pasta versus the goods imported from Italy: the latter may make for better advertising copy, but the former is often just as good once the cooking’s complete. If every penny counts right now, then know this: you’re probablyâ€•probablyâ€•not going to harm your engine by going with the cheap stuff. Imagine driving across, say, India, and being forced to fill up with local moonshine because there’s not another pump for 300 miles. Brand X gas in America is not like that. If it’s good enough for the EPA, chances are it’s good enough for you. Nonetheless, if you’ve got some extra pennies in the piggy bank, well, name-brand gas companies are probablyâ€•probablyâ€•not completely full of it when they say that their gas is better for your engine. And since a big part of preventative maintenance is doing whatever you can to minimize wear and tear on your car, those extra pennies could be money well spent, even though we couldn’t find a definitive correlation. So next time you’re on the horns of this dilemma, well, you’ll still have a choice to make. But at least it'll be an informed decision.